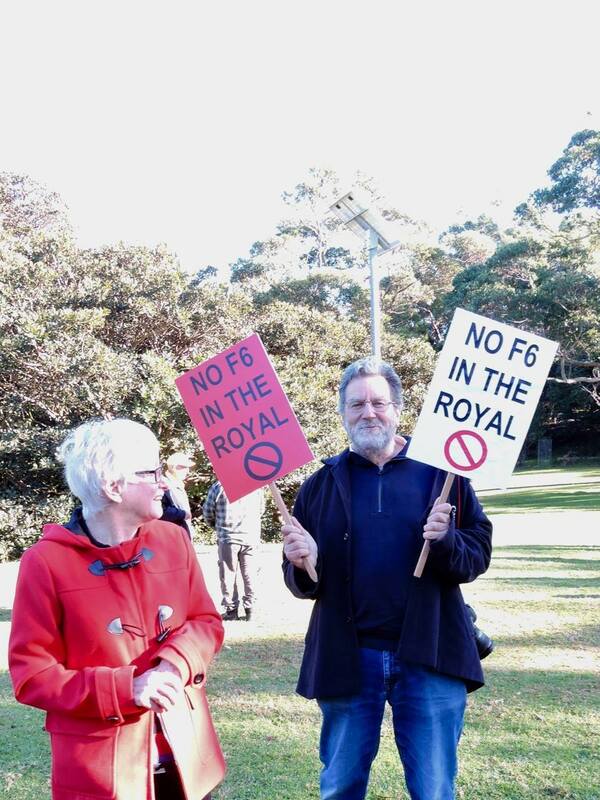 Protect the Royal National Park. 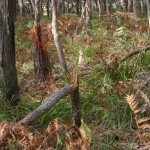 Don’t let the Royal National Park be used to clear hundreds of trees for private commercial development! 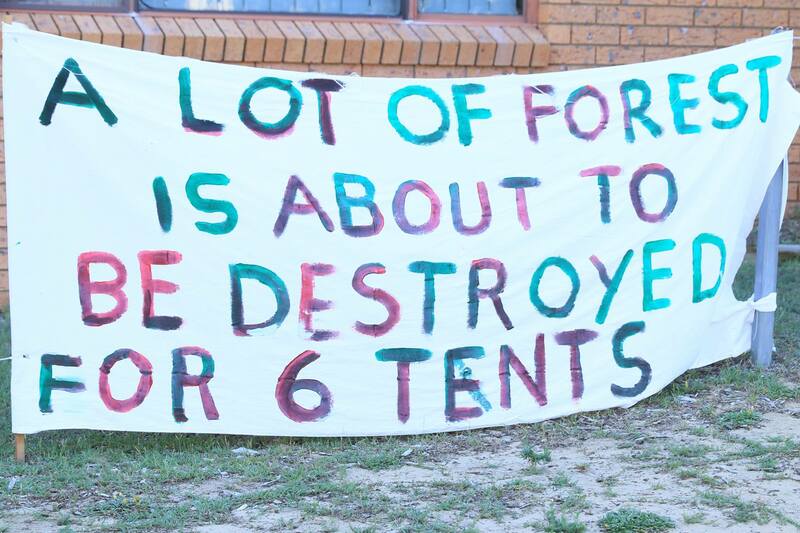 The Bundeena Coast Eco-Lodge proposes clearing over 430 native trees from an area the size of 12 residential housing lots for 6 tents, to accommodate up to 12 tourists and a caretaker residence. 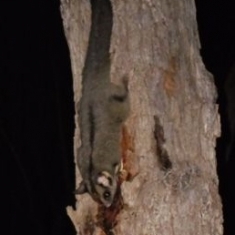 The proposed development is located within a critically endangered ecological community which is habitat to Eastern pygmy-possum and sugar gliders. The site is rated an “extreme bushfire danger” by Sutherland Shire Council and the local RFS. 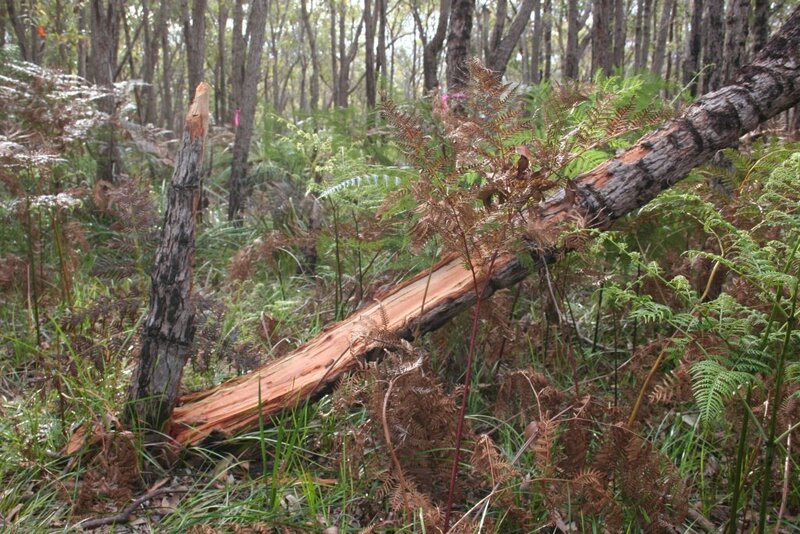 Australia’s oldest national park or a developers’ gateway for greenfield land clearing? The fire trail at the end of Beachcomber Ave, where the Coast Track starts, is proposed to be upgraded to a public road to the proposed eco-resort. 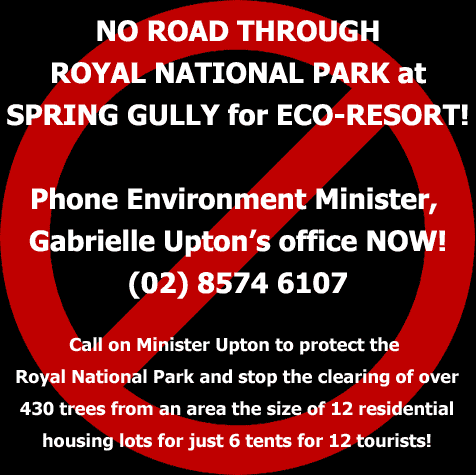 Call Environment Minister, Gabriel Upton now and seek her commitment that she will refuse the proposed road access through the Royal to the proposed ‘eco’-resort! 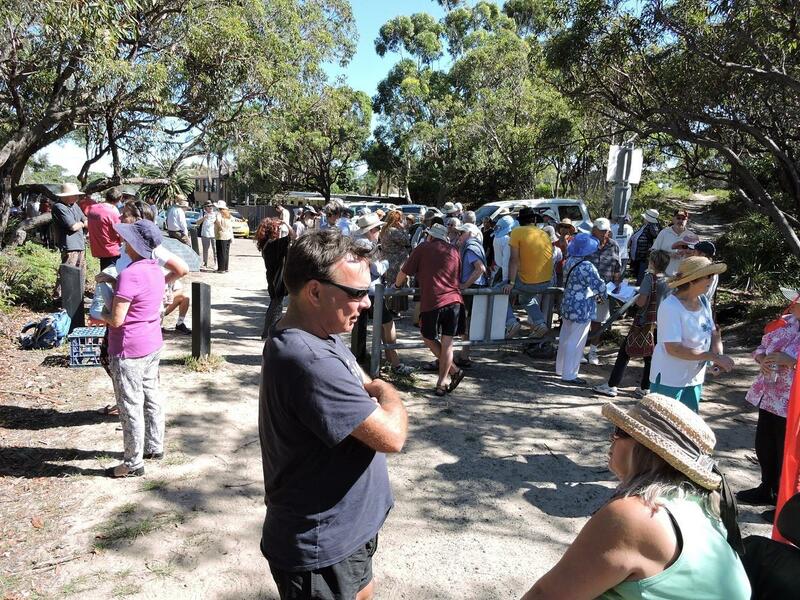 The 5,000 members of the group are protesting against development of an ‘eco’ resort on a site within the Royal National Park at Bundeena and have resolved to make Environment Minister Gabriel Upton accountable for any decision that permits development to go ahead. If the Minister for National Parks, Gabrielle Upton genuinely cares about the second oldest national park in the world, there is no way she will permit road access to this pristine spot. 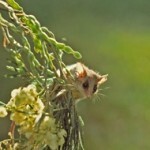 Eastern pygmy possum habitat in the Royal National Park to be cleared for eco-resort! Commissioner Susan O’Neil of the Land and Environment Court has ruled in favour of the developer despite the fact that the local Rural Fire Service has expressed serious safety concerns. 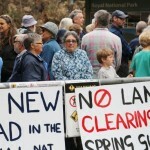 The development cannot proceed, however, unless road access through the Royal National Park is granted. 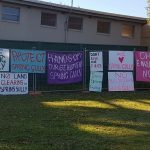 Sutherland Shire Council rejected the proposal outright stating that any attempt to develop the land will jeopardise its environmental values. 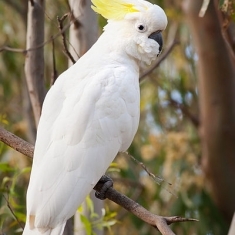 These values include Eastern pygmy-possum and sugar glider habitat, endangered ecological communities, pristine streams, freshwater wetland and a unique forest of mallee bloodwoods which supports a world heritage nomination for the Royal National Park. 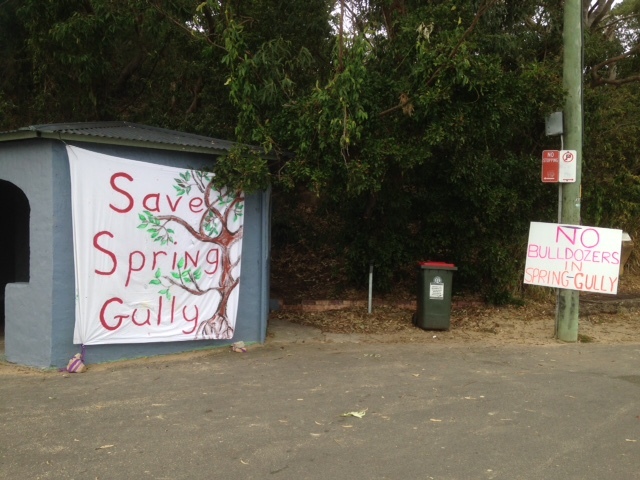 We urge all Spring Gully Protection Group members to write to the Minister to express their concern over the progression of the Bundeena Coast Eco-Lodge proposal. 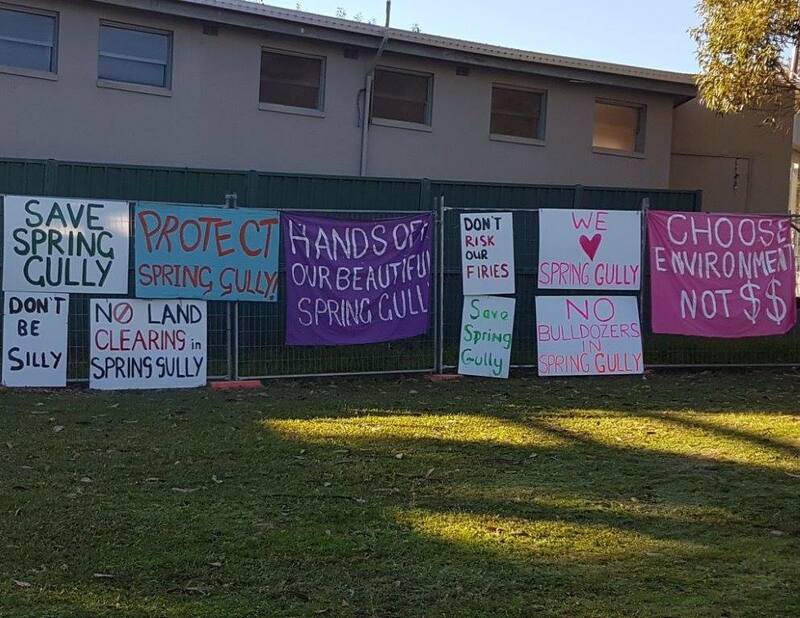 Our only hope now is that Minister Upton will choose to protect the beautiful environment of Spring Gully. Our information is that Minister Upton delegates contentious decisions to her department and we feel that is not acceptable. She’s the responsible Minister and she must not duck this decision. We want to ensure she’s held accountable for the protection of the national heritage listed Royal National Park, our nation’s first National Park. There are concerns in the community that there may be bigger plans in the future for the 5.6 hectare site that have not yet been revealed. 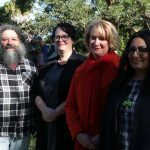 “They want to cut down over 430 native trees, over an area equivalent to 12 residential housing lots, just to build 6 tents to accommodate 12 tourists and they’ve spent many hundreds of thousands of dollars to progress this plan through appeals in the Land and Environment Court that have dragged on for two and a half years. 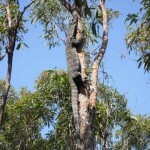 That’s very suspicious and very concerning,” Mark Da Silva, Spring Gully Protection Group spokesman said. 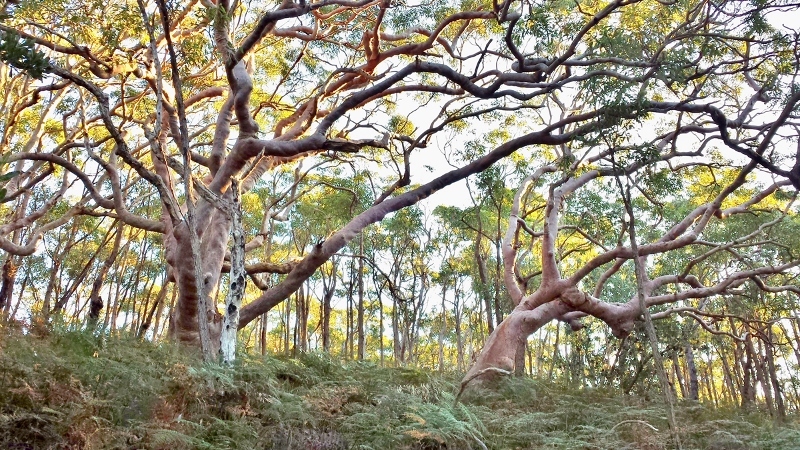 Spring Gully, the location of the Bundeena Coast Eco-Lodge proposal, is one of the most bio-diverse areas within the Royal National Park. 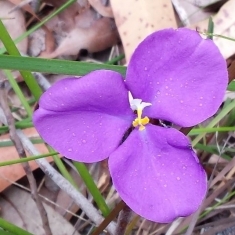 The NSW Office of Environment and Heritage (OEH) states, “Spring Gully contains a rich mosaic of endangered ecological communities listed under the Threatened Species Conservation Act”. OEH has also raised concerns about the use of the land for eco-tourism in advice to Council, noting the land’s high bio-diversity values. The land is zoned Environmental Conservation. 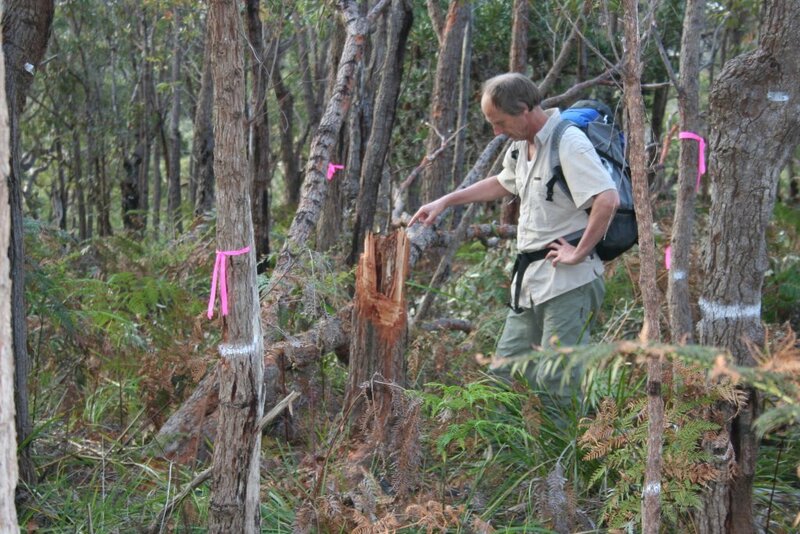 The Royal cannot be used to facilitate clearing of over 430 mature native trees from an area equivalent to 12 residential housing lots for bushfire protection for 6 tents accommodating 12 tourists. The local Rural Fire Service (RFS) have warned of “disastrous consequences should this development go ahead and innocent lives are unnecessarily put at risk” and asked that the development be refused. 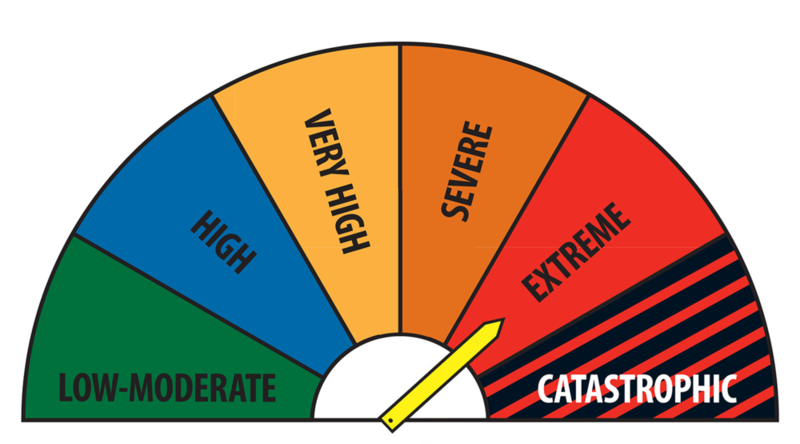 Sutherland Shire Council have rated the development site an “extreme bushfire danger” and state that the RFS head office approval “did not meet the objectives and sound planning principles of reducing the risk to life and property”. The proposed half kilometre long access road cannot provide safe emergency access for evacuation during a bush fire. 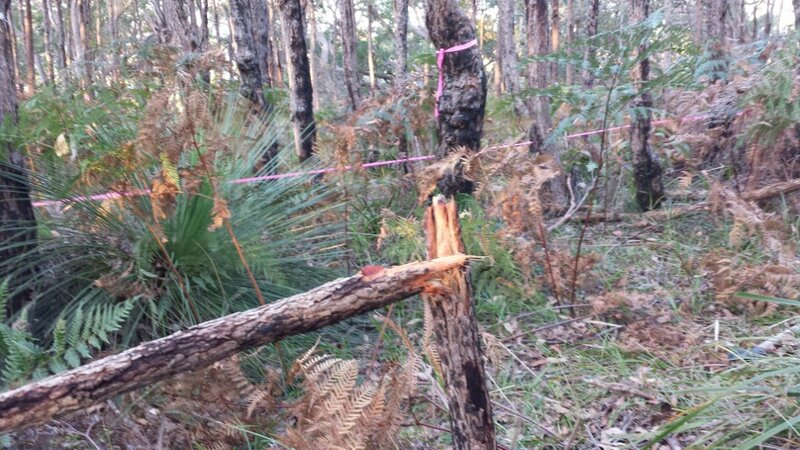 Direct impacts from clearing a large area of known Eastern pygmy possum and sugar glider habitat which is also important feeding habitat for the resident Powerful Owl. 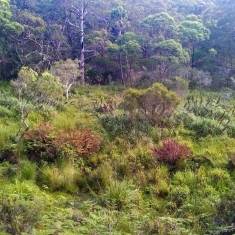 Spring Gully is one of the most bio-diverse areas in the Royal National Park. 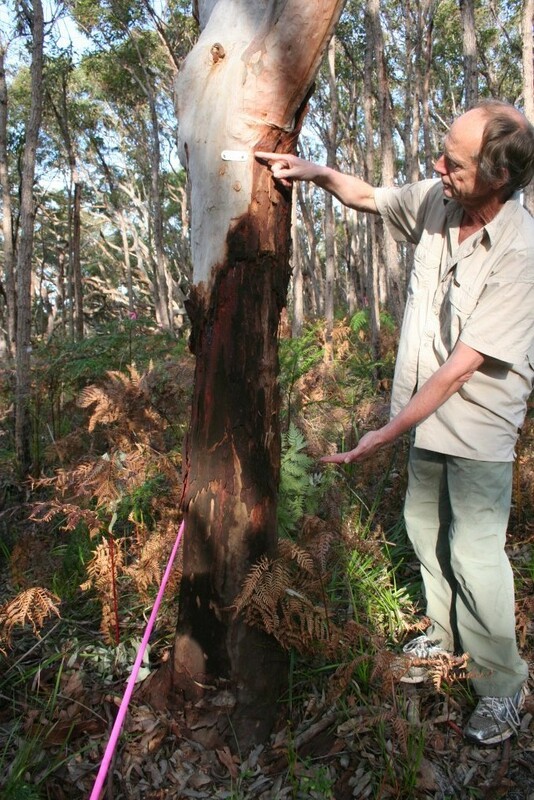 The Office of Environment and Heritage (OEH) have written that “Spring Gully contains a rich mosaic of endangered ecological communities.” Professor David Keith, Senior Principal Research Scientist, OEH, has determined that the vegetation to be cleared is the critically endangered Eastern Suburbs Banksia Scrub and that the unique occurrence of mallee bloodwood at Spring Gully is the low forest form of this ecological community and supports a World Heritage nomination of the Royal National Park. Although the former Scout land is now privately owned, it is in the Royal National Park, ecologically part of the park and was originally set aside for community benefit! 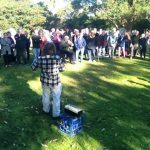 The NSW government should follow the advice of Sutherland Shire Council and purchase the land for addition the Royal National Park. The former Minister for Planning, Rob Stokes, wrote supporting purchase of the land. He stated “I am aware of its values”. The proposed eco-resort at Spring Gully has been rated an Extreme Bushfire Danger by Sutherland Shire Council in a report highly critical of the RFS bushfire safety approval. 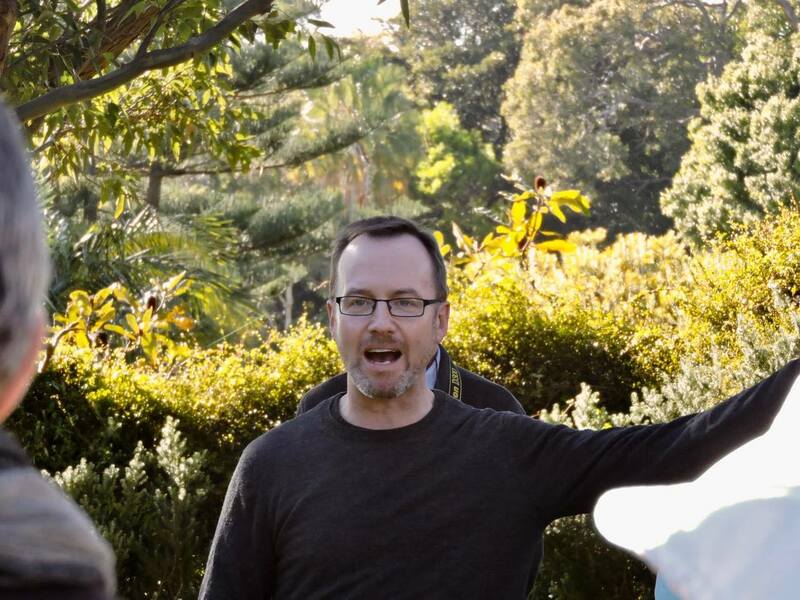 Why the proposed Bundeena Coast Eco-Lodge for Spring Gully Bundeena is a bad idea. 1994 Bush Fires, Spring Gully, Royal National Park, Bundeena. 94 Bush Fire in Spring Gully with spot fire near Eric St ahead of the main front. “While the use obviously did not meet the objectives and sound planning principles of reducing the risk to life and property, the RFS did not recommend refusal of the proposed development application based on these principles. The developer’s appeal against development refusal awaits a final determination by the Land and Environment Court. A decision by NPWS over road access through the Royal National Park is also awaiting determination by the Minister for the Environment. 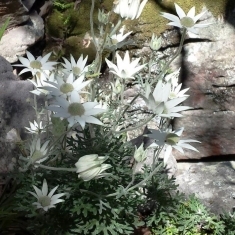 Who Owns the Paper Roads in the Royal National Park at Spring Gully, Bundeena? 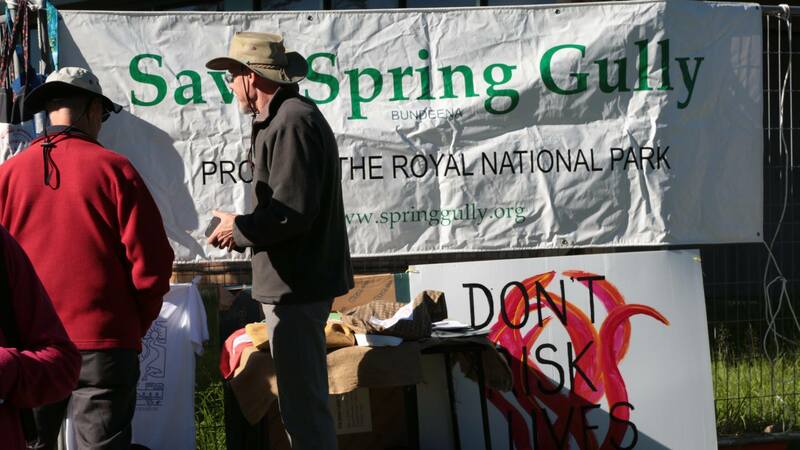 The proposed development site includes part of the unmade paper roads of Spring Gully. 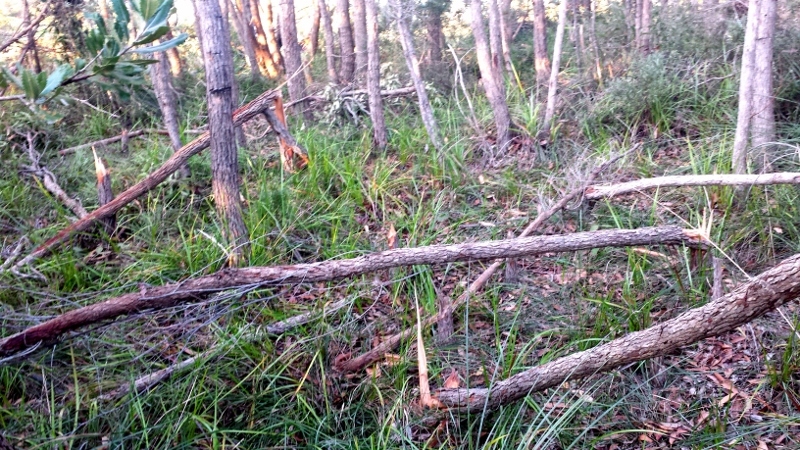 The developer does not own this land but intends to clear the land for bushfire protection anyway. So, who owns the unmade “paper roads” in Spring Gully? The answer depends on who you ask! Sound starts at 44 seconds. NOTE: Since this video was made the Minister for the Environment has informed the NSW Parliament that the NSW Government does not recognise the Estate of Edith Wolstenholme as the owner of the unmade roads. The National Parks and Wildlife Service (NPWS) has conducted research which concludes that the roads remain within an earlier land title. The unmade paper roads of Spring Gully remain in private ownership. RVA Australia Pty Ltd (the developer for the proposed Bundeena Coast Eco-Lodge on the former Scout land) is currently engaged in proceedings against the Estate of Edith Wolstenholme in the NSW Land and Environment Court (RVA Australia Pty Ltd v Rosemary Elizabeth Marzouk, Case No 2017/00190236). RVA is seeking to incorporate part of the unmade roads into their development proposal. Keep Out signs have been erected on the Sussex St unmade road reserve. In 2015 Sutherland Shire Council resolved that all the unmade roads adjoining the Royal National Park would be transferred to the NPWS for incorporation into the Park using its powers under the Roads Act 1993. RVA Australia made a claim that it owned part of the paper roads and threatened to take legal action against Council. RVA Australia has since withdrawn its claim of ownership. In 2015 the Minister for the Environment advised that he had instructed the NPWS to work with Council to add the land into the Park. 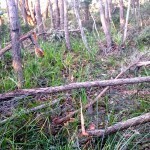 In 2016 the Minister advised the NSW Parliament that the government would acquire the land for addition to the RNP under the powers of the National Parks and Wildlife Act 1974. To date, none of the paper roads have been added into the Royal National Park. 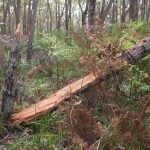 They remain bogged in legal dispute and inaction by NPWS and the NSW Government allowing the developer to pursue their contentious claims through the Courts uncontested. Re-exhibition of Bundeena Coast Eco-Lodge, Royal National Park Road Proposal. The NPWS are re-exhibiting the road access proposal until 4 August 2017. NPWS advise that re-exhibition is due to errors with the originally exhibited material and requests objectors to lodge fresh submissions. 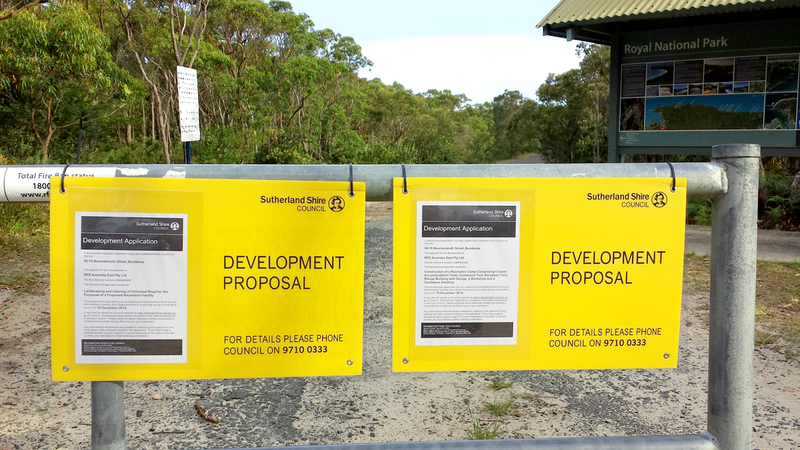 The Land and Environment Court requires the National Parks and Wildlife Service (NPWS) to determine whether it will permit road access through the Royal National Park to the proposed Bundeena Coast Eco-lodge on the former Scout land at Spring Gully, Bundeena. The Minister for the Environment will decide on an application from a private commercial party to convert and extend the fire trail at the Bundeena entrance to the Coast Track into a 480m long road, built to public road standard, through the Royal National Park. “Any submissions received that are outside the scope of the REF will not be considered in the assessment process.” We have obtained legal opinion on the relevant scope for public submissions. More information here. That the proposal is for access to the existing fire trail. This is not consistent with the Rural Fire Service requirements, as exhibited, which clearly state that the existing trail will need to be upgraded to a public road, unobstructed at all times. That the existing fire trail will be widened to 6.5m when the proposal documents state the road will be up to 8m wide. unacceptable impacts to users of the RNP. More information about our concerns is available here. Alternatively, download our suggested submission [PDF] [DOCX] and email to royal.ref@environment.nsw.gov.au by 4 August 2017. Full details of the application are on public exhibition at the Office of Environment and Heritage website. 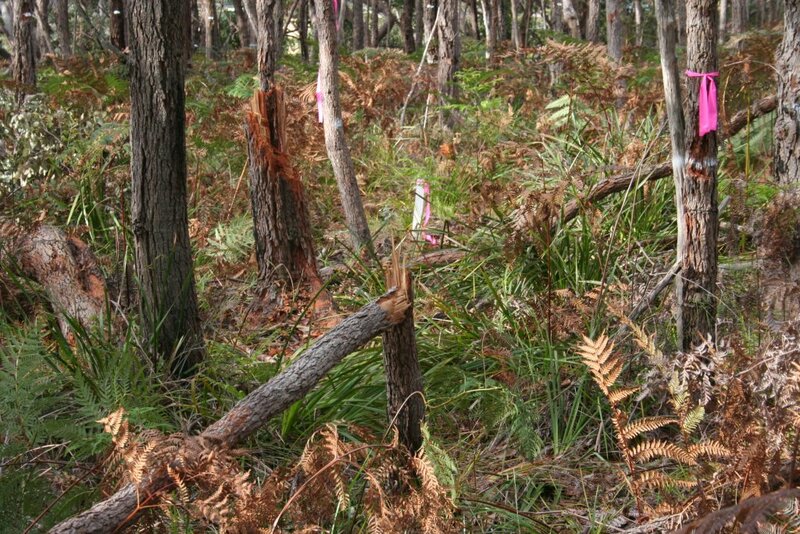 Hundreds of trees within threatened species habitat to be cleared. 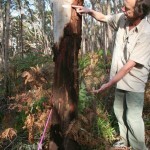 Hundreds more trees to be cleared from the ancient bloodwood mallee which grows from enormous underground lignotubers. 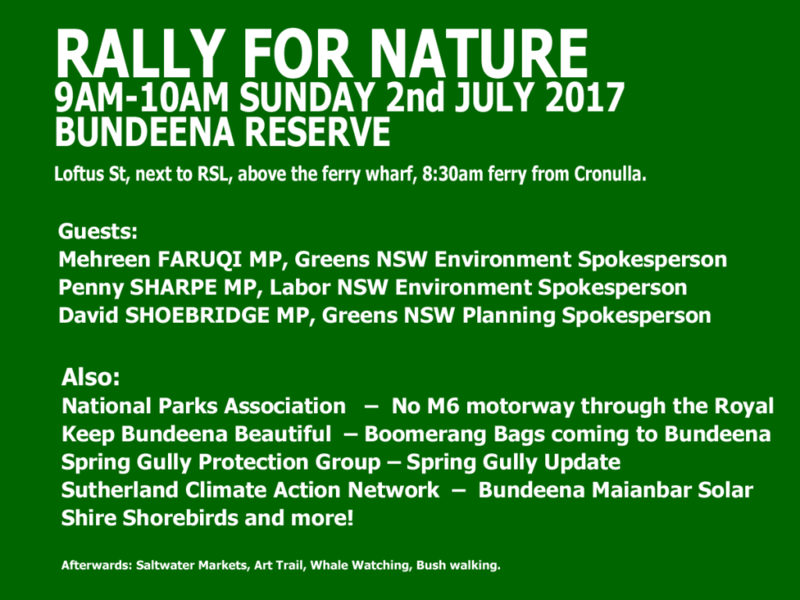 Rally for Nature, Sunday 2nd July 2017, 9am-10am, Bundeena. More details on facebook. 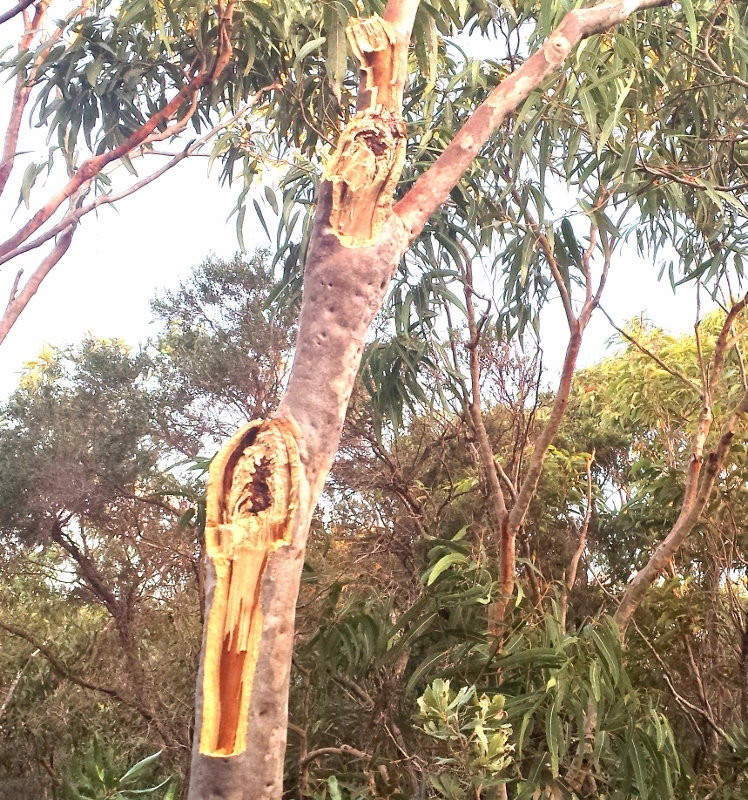 Bundeena Coast Eco Lodge Development, Spring Gully. The Minister for the Environment will decide on an application from a private commercial party to convert and extend the fire trail at the Bundeena entrance to the Coast Track into a 480m long road (built to public road standard), through the Royal National Park. If the road is approved it will allow the proposed clearing of many hundreds of trees for the construction of a proposed eco-tourist facility on the adjoining former Scout land which comprises 5.6 hectares of virgin forest and wetland of outstanding biodiversity value. Over 430 native trees currently under a tree preservation order are proposed to be cleared. 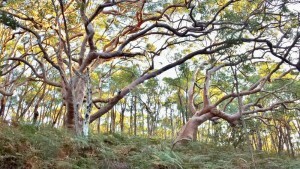 Many hundreds more trees will be cleared from the unique and ancient bloodwood mallee on the relic cliff dune (the only known example in the Sydney Basin) which has been identified as supporting a World Heritage Listing for the Royal National Park. Dozens of the oldest and largest trees will have 70% of their canopy removed. 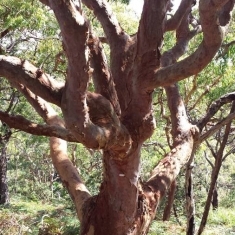 Over 2 hectares of land, including the Critically Endangered Ecological Community Eastern Suburbs Banksia Scrub will be impacted by vegetation removal for bushfire hazard reduction to protect six safari tents! 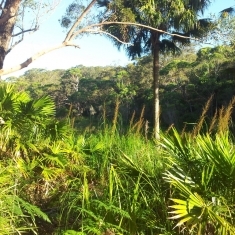 This land is habitat for threatened species including Eastern pygmy possum, Red-crowned toadlet, Giant-burrowing frog, Powerful owl, and others. 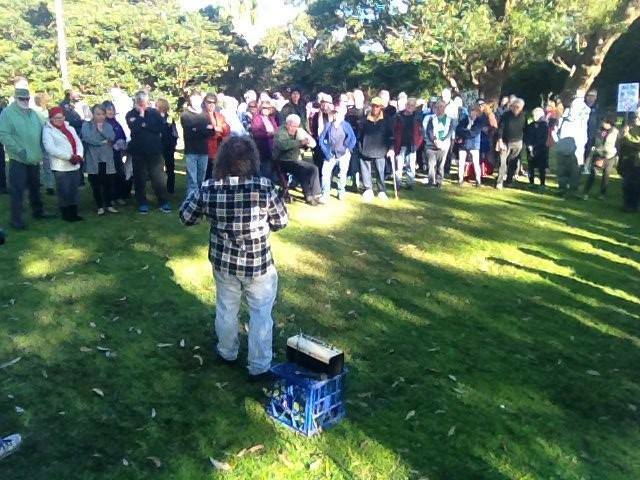 The proposed development is located on the steepest, most dangerous bushfire prone land in Bundeena. The proposed road cannot provide safe access for fire fighters or for guests of the proposed facility to evacuate during a bush fire. 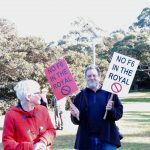 The Royal National Park should not be used for private commercial development! 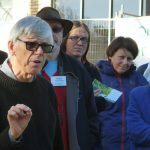 Land and Environment Court on-site hearing February 2017. 9:30am Monday 13 February 2017. 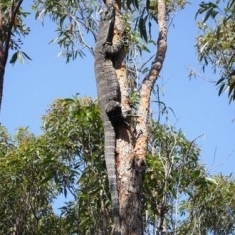 All residents and and those concerned about the proposed clearing of many hundreds of trees within threatened species habitat are entitled to attend the Land and Environment Court On-Site Visit. (near corner of Eric St). Your peaceful and respectful attendance is welcome. The hearing into the applicant’s appeals against development refusal for a recreation camp and road will continue at the Land and Environment Court, 225 Macquarie St, Sydney until 17 February 2017. Parties: RVA Australia Pty Ltd v Sutherland Shire Council. More info about the development proposal. 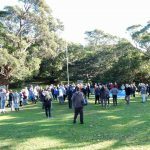 On 02 June 2016, Razors Edge, the current affairs program on 2SER 107.3FM featured a story on the controversial Eco-Lodge proposal for the former Scout land, Spring Gully, Bundeena. There is still time to lodge your objection before the matter returns to the Land and Environment Court. Lodge your objection now using our web form. It takes two minutes. Your submission will make a difference! RVA Australia Pty Ltd v Sutherland Shire Council. DA14/1239 unmade paper road bushland, Royal National Park, Bundeena. of which 366 are currently under the protection of a tree preservation order. 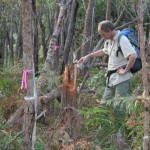 55 hollow bearing trees to be cleared from Eastern Pygmy possum habitat. 39 of the most significant trees to have 70% canopy removed (including 16 hollow bearing). All ground cover, understory, shrubs to be cleared from an area the size of 12 residential blocks and the canopy to be cleared to a maximum 15% cover. 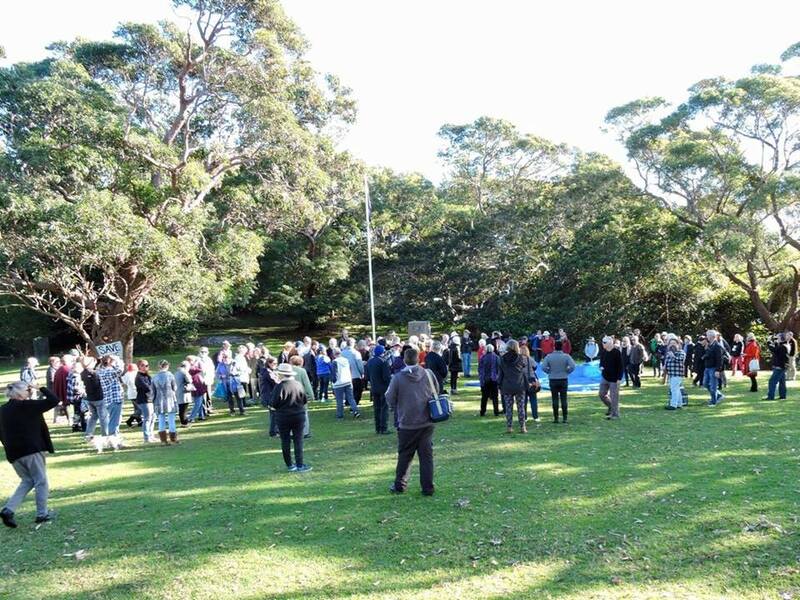 It’s time to call on the Minister for the Environment to stop the madness of the proposed clearing of over 1,000 trees from the former Scout land inside the Royal National Park at Spring Gully, Bundeena. 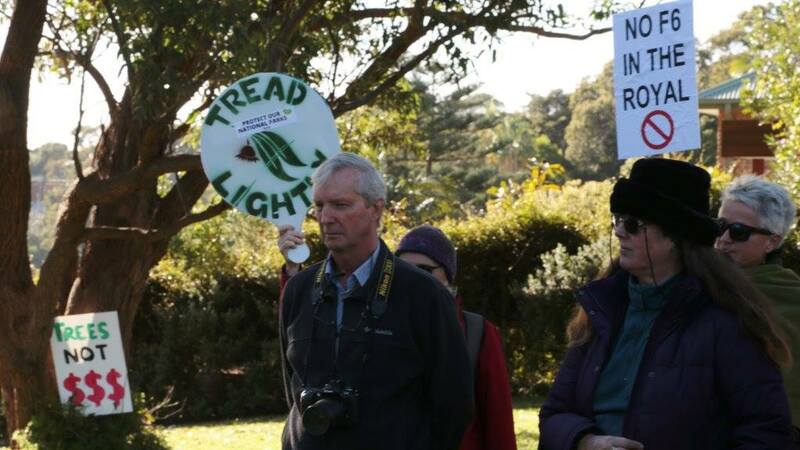 It’s time for the Minister to refuse the proposal for a new road at the entrance to the Royal Coast Track that will directly impact upon threatened species habitat and endangered ecological communities. 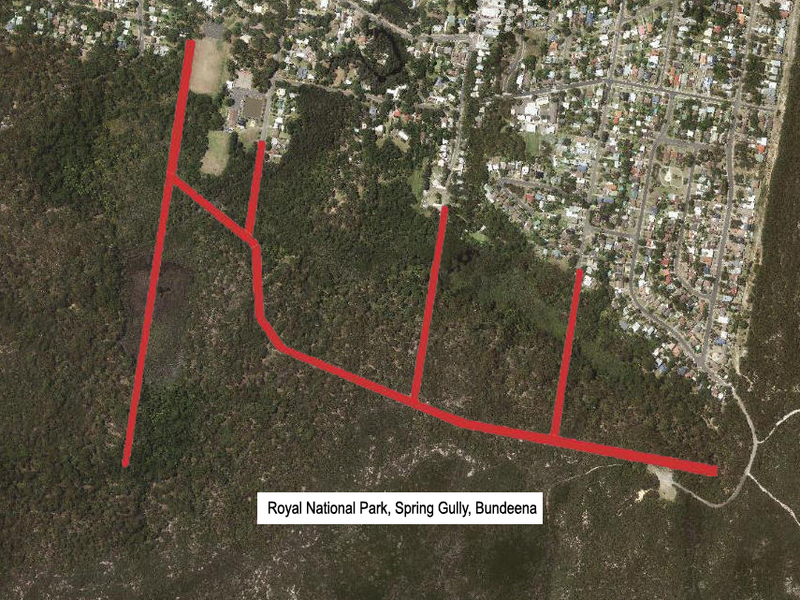 In June 2015, the Rural Fire Service provided approval for a two lane 8m wide road plus road shoulders through the Royal National Park to service the proposed “eco-lodge” development in Spring Gully. Send your message to Mark Speakman MP, Minister for the Environment now. It takes just two minutes using our web form. 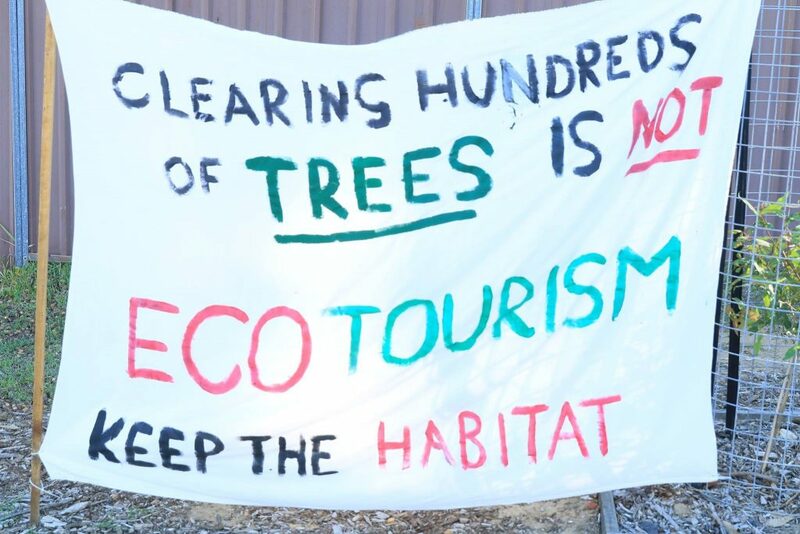 It’s time for the Minister to uphold the public interest and act to protect the world’s oldest purpose dedicated National Park from the clearing of over 1,000 trees under the guise of “eco-tourism”. Send your message now. Stop the chop. Don’t spoil the Royal. 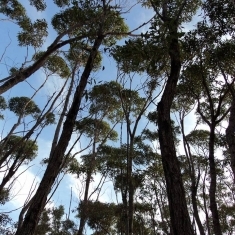 Most of these trees and many hundreds more are to be cleared on the former Scout land and within the Royal National Park for a proposed recreation camp. 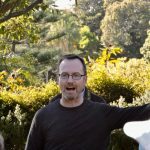 Photos: Public Rally with David Shoebridge, Greens NSW Spokesperson for Planning, Local Government & Emergency Services – Sunday 23 August 2015. 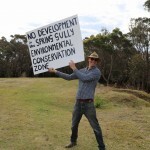 Scout land developer appeals to Land and Environment Court. 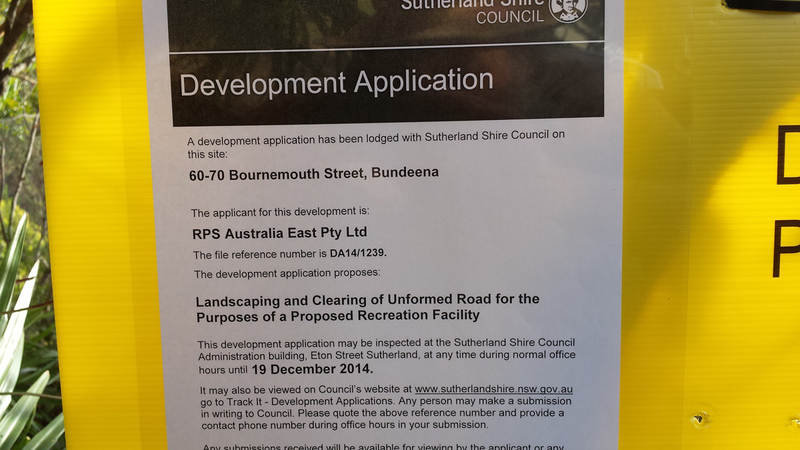 Sutherland Shire Council has refused consent for the development applications lodged over the former Scout land. The applicant has lodged class 1 appeals to the Land and Environment Court seeking development consent. Join our mailing list to receive updates on the proceedings. 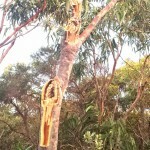 A substantial number of trees were destroyed and vandalised over the Queen’s Birthday Long Weekend on the Jibbon Hill relic cliff dune near the old “Night Soil Depot” at the south of Spring Gully, Bundeena. 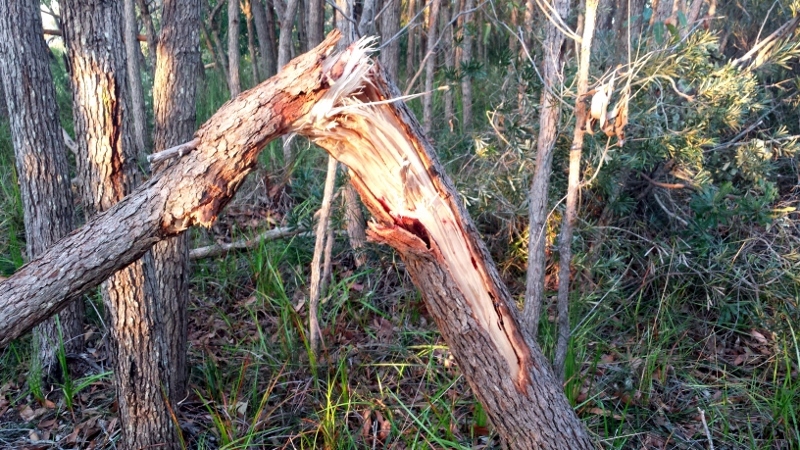 At least thirty trees have been snapped off their trunks near ground level. 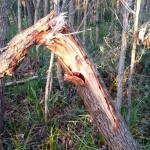 Others have had substantial limbs snapped off. Read more. 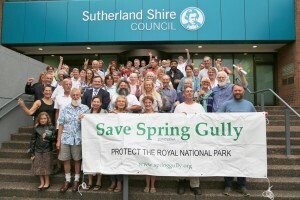 Spring Gully supporters celebrate Sutherland Shire Council’s decision to hand over 8.5 hectares of bushland at Bundeena for inclusion into the Royal National Park. Sutherland Shire Council has resolved to hand over its 8.5 hectares of bushland and upland swamp at the south of Spring Gully to the NPWS for addition to the Royal National Park. Council has also resolved to transfer the unmade paper roads in Spring Gully adjoining the Royal National Park into the legal boundaries of the park. 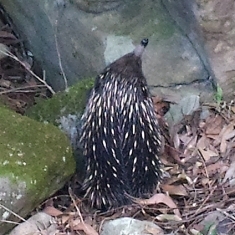 The decision is a recognition of the high biodiversity and conservation value of the Jibbon Hill and Spring Gully area. 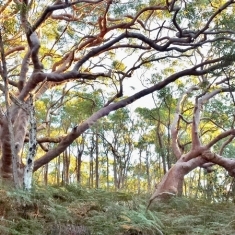 Congratulations to all the supporters, local residents and others, who have persisted in seeing this public land remain conserved and added into the Royal National Park. Conservation of natural areas on urban fringes is not only vital to environmental health, but provides social and health benefits to the community through responsible enjoyment of nature. 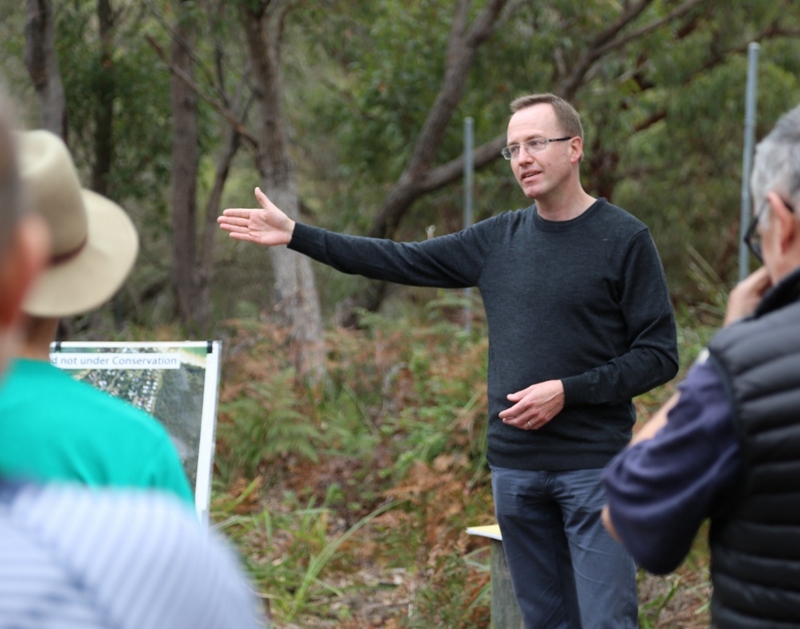 UPDATE: Mark Speakman MP, Minister for the Environment, announces dedication of the Jibbon Hill lands as an addition to the Royal National Park. The geomorphology of the Jibbon Hill relic cliff dune defines the landscape and unique vegetation found at Spring Gully, making this landscape and its flora an important scientific justification for the world heritage nomination of the Royal National Park. 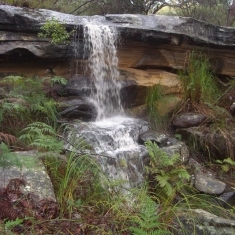 The conservation of Spring Gully is supported by the NSW Office of Environment and Heritage, Sutherland Shire Council and the broad community. Key decisions such as zoning in the draft Local Environment Plan are in the hands of the NSW government and are imminent. 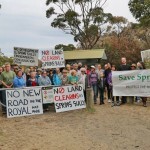 Now is the time to seek a commitment from relevant Ministers and our local state member for the conservation of Spring Gully through the reservation of the former Scout land and Council’s land for addition to the Royal National Park. 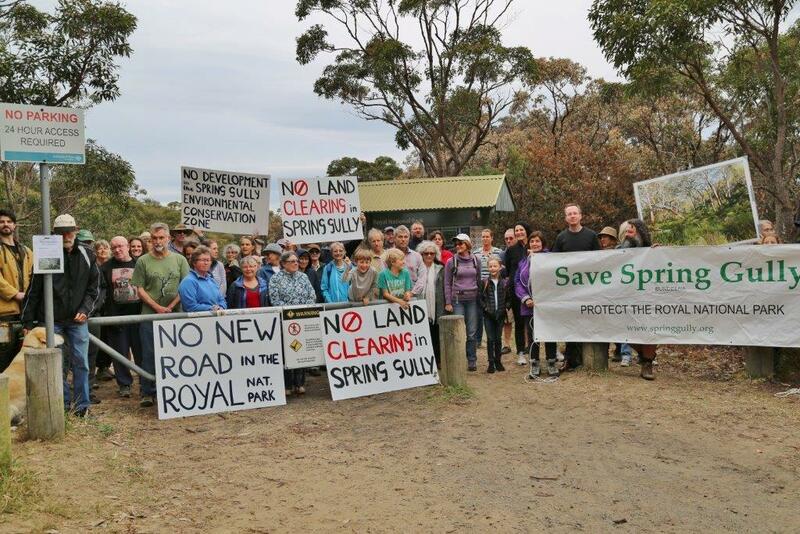 We have won important decisions such as E2 Environmental Conservation zoning in the draft local environment plan and Council’s recommendation for the conservation of all of Spring Gully due to the strength and persistence of community support and supporting scientific evidence. 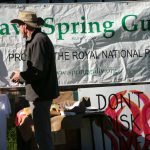 Please join our campaign to seek a commitment from the State government for the reservation of Spring Gully for addition to the Royal National Park using our simple web form. 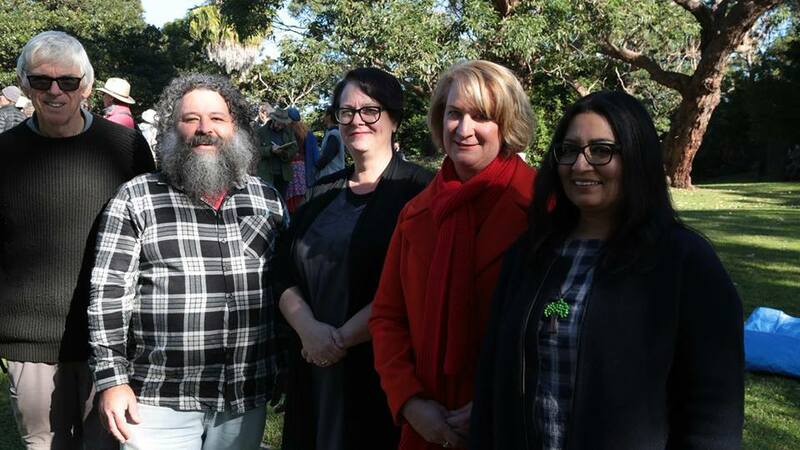 UPDATE: Four candidates running for the local seat of Heathcote have provided position statements on Spring Gully. Read what your candidates have to say. 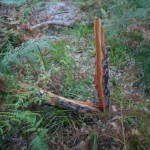 More details of the current status of Spring Gully. Use our online form to lodge your objection to the development proposal for the clearing of thousands of trees for an “eco-tourism” styled “recreation camp” on the former Scout land. It takes just one minute! Over 1,500 trees to be cleared on former Scout land! There are over 1,500 trees in the before drawing on the left that are missing from the after drawing on the right. Can you find them all? Read about the trick that has been used in the development application to hide the true extent of tree and canopy removal! These drawings only show the trees in and around the proposed inner asset protection zone. Hundreds more trees will be cleared in the outer asset protection zone not shown in these drawings. You can read more analysis of the scale of tree removal and environmental impact of the proposed development here. Trees in and nearby inner asset protection zone – before tree removal. Click to enlarge. Trees in and nearby inner asset protection zone – after tree removal. Click to enlarge. 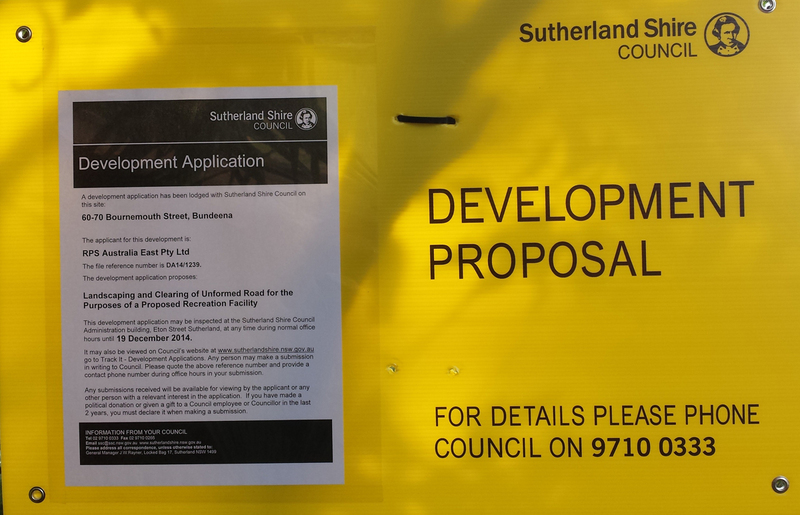 Development Applications lodged for former Scout land & Sussex St bush reserve. 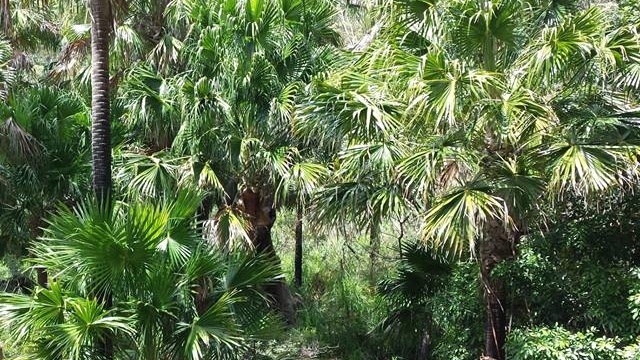 Thousands of trees to be cleared for “eco-tourism” recreation camp. 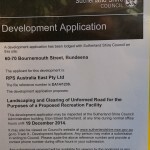 Development Applications have been lodged for the former Scout land and clearing of the Sussex St road reserve bushland. The development is for a “recreation camp” including facilities for tourist accommodation, the holding of functions, event conferences and training and a four bedroom residence. 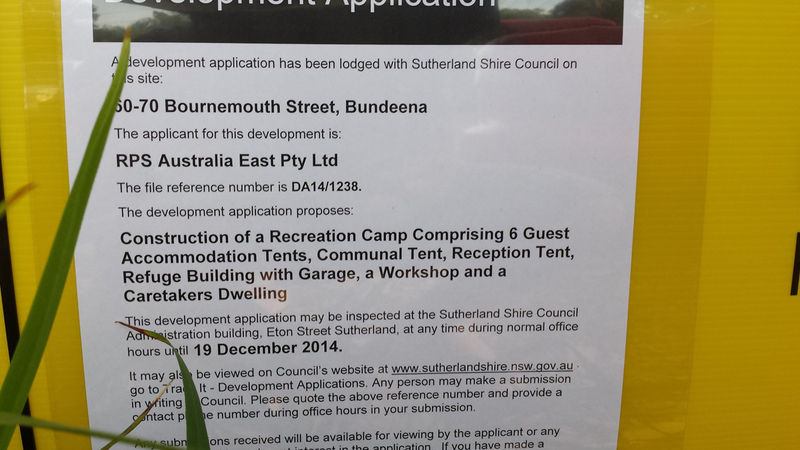 The development is being marketed as “Bundeena Coast Eco-Lodge”. DA notice signs have been placed at the end of Beachcomber Ave and Bournemouth St. 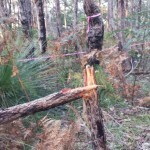 Preliminary observations are that thousands of trees are to be destroyed, across the east to west extent of the land. 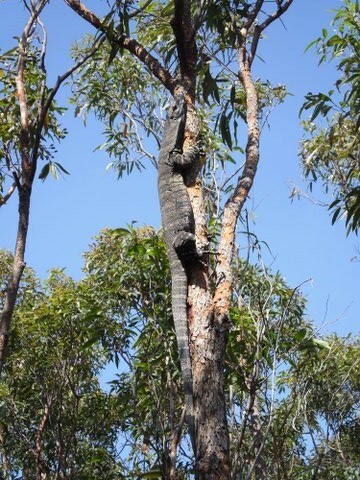 Over thirty mature angophoras will be severely pruned annually to leave only one quarter of their existing canopies. A vast area of the southern slope is to have its lower story cleared. The DAs have been lodged under the existing zoning of LEP 2006 as a “recreation camp”. Although the developer requested “eco-tourism” zoning under the new LEP, the new LEP is currently with the Minister of Planning awaiting her approval. The developer has snuck in his DAs under the old zoning at one minute to midnight! The existing zoning allows developments that provide facilities for community benefit. 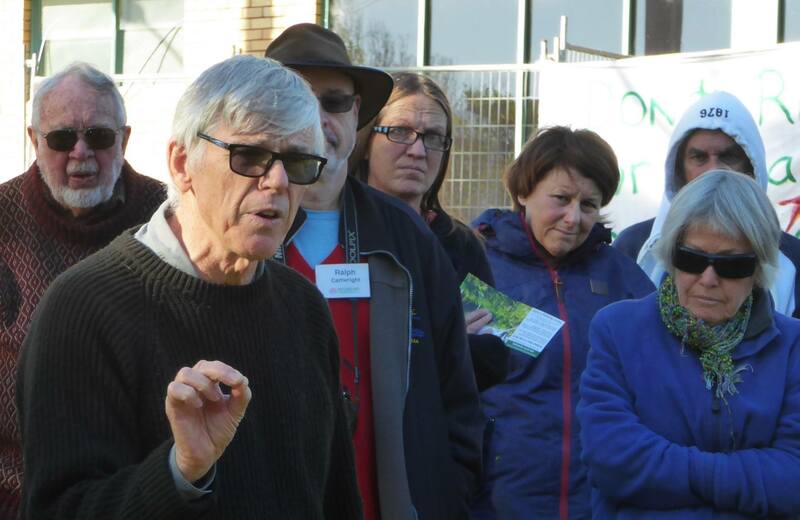 I’ll leave it to you to decide what benefit the local community is going to gain from the “eco-friendly” destruction of hundreds of trees over several hectares of beautiful bushland. 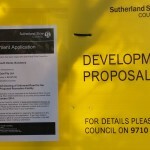 On 10 November 2014 Sutherland Shire Council adopted the recommendation of the report into the LEP which states that the Scout land should be part of the Royal National Park. Council resolved at this meeting to lobby the state government to acquire the land for addition to the National Park. This report and its recommendations are currently with the Minister for Planning. Each DA is about the thickness of a telephone book. DA14/1238 & DA14/1239. They are on display at Council or you can view them online using Council’s “track-it” web application. 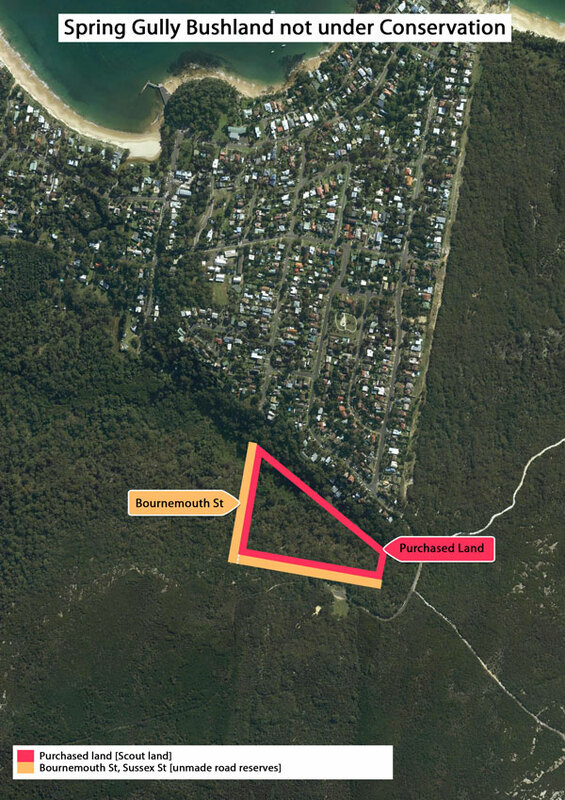 Sutherland Shire Council has recommended the former Scout land be acquired for addition to the Royal National Park. Click thumbnails for full size photos. Full details at our facebook page. 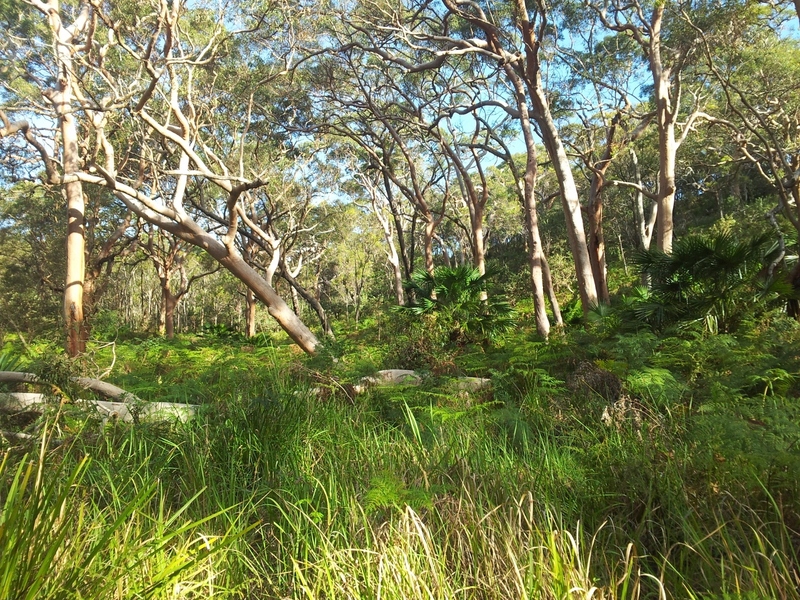 Spring Gully, Bundeena – click to enlarge. 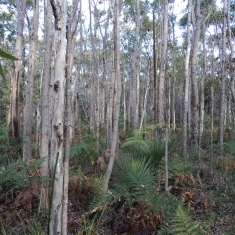 Former Scout Land – 5.6 hectares of magnificent gully bushland and freshwater wetland. Sold to a developer by the Scouts Association in 2013 after refusing a community funded offer of purchase from the Foundation for National Parks and Wildlife. 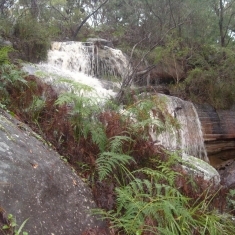 The adjoining relic “paper roads” within the Royal, comprising bushland and wetland, traversing over cliffs, waterfalls and ravines. These roads are relics of the original 1886 subdivision and run through land that was added to the Royal in 1979 to celebrate it’s centenary – 6 hectares. 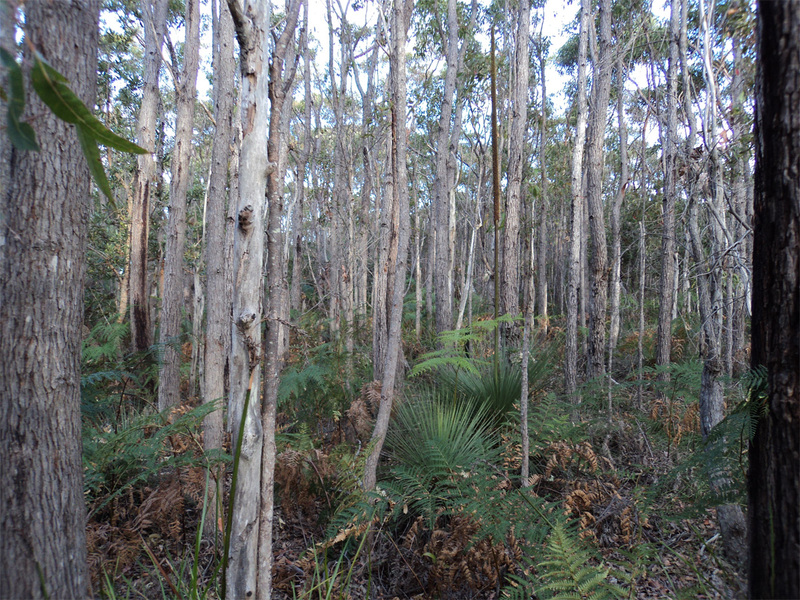 Council’s Jibbon Hill bushland (including former night soil depot) – 8.5 hectares comprising two upland swamps, the Jibbon Hill relic cliff dune field and a site of scientifically significant flora was under threat of sale for development until the SSC agreed to a hand over to NPWS in 2015 after immense community lobbying. 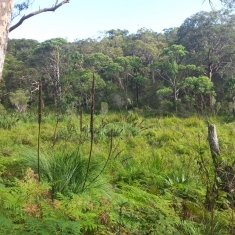 [Update: This land was dedicated as an addition the the Royal National Park in August 2015]. Our mission is to see all this ecologically valuable bushland and wetland added to the surrounding Royal National Park and conserved for the benefit of the entire community under the proposed World Heritage nomination for the Royal National Park. The Royal National Park receives four million visitors per year and the Coast Track is the most popular walk in the park. The proposed World Heritage nomination of the Royal National Park is a great opportunity that will benefit the local community including our walking tours, whale watching tours, existing bed and breakfasts, artist studios, cafes, clubs and shops. 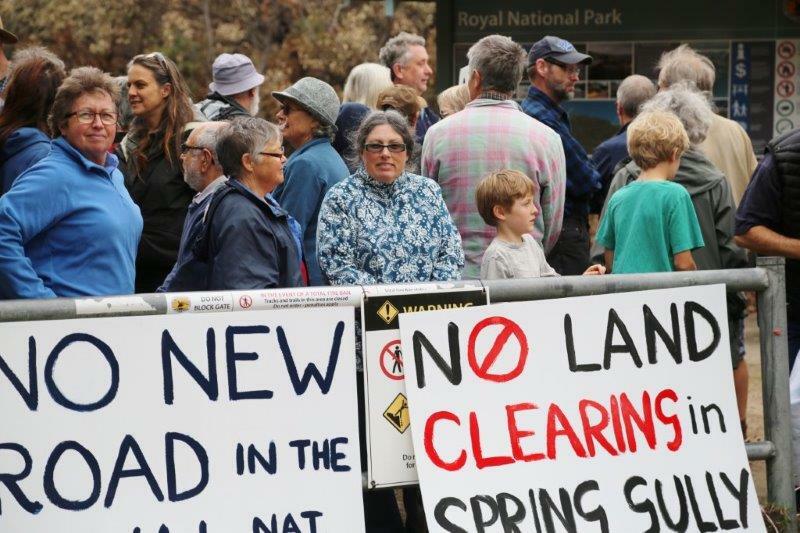 Development of Spring Gully and the huge asset protection zone clearings required will have direct negative impacts on the amenity of the coast track and pose serious threats to the Royal National Park and Bundeena wetland. 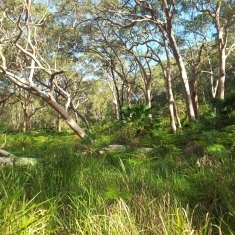 Development of Spring Gully threatens the very qualities and values that support World Heritage nomination for the Park. View a larger annotated, interactive map of Spring Gully in Google Maps. 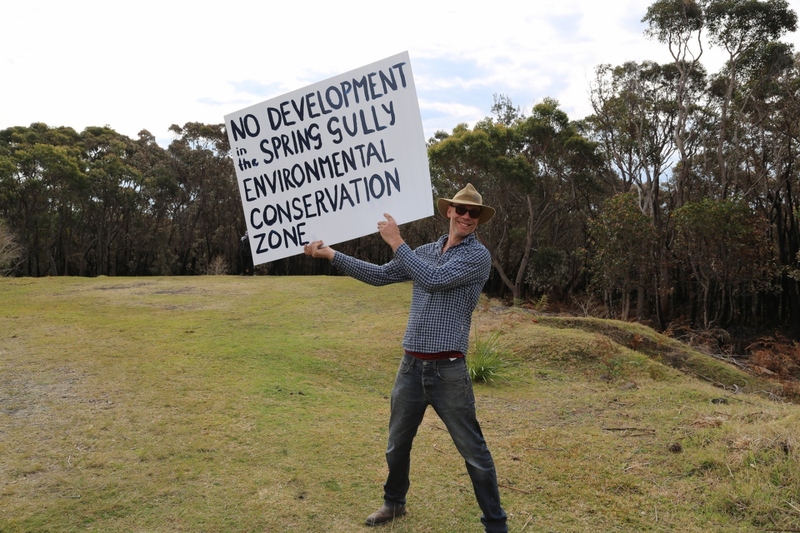 Introductory video interview about Spring Gully Protection Group. December 2013. The Spring Gully Protection Group is now an affiliated member of the Better Planning Network. The NSW planning reform bills that will limit community input on development decisions is now before the NSW Upper House. Visit the BPN website for more details. 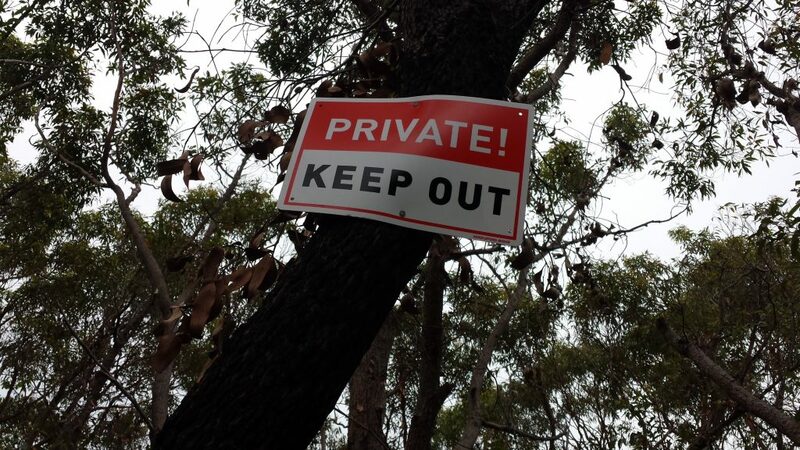 The former Scout land developer is attempting to purchase the Sussex St road reserve with the intention of clearing the bush and building on it and extending an asset protection zone onto the adjoining bushland currently under transfer to National Parks. Read more. What’s going on in Spring Gully? 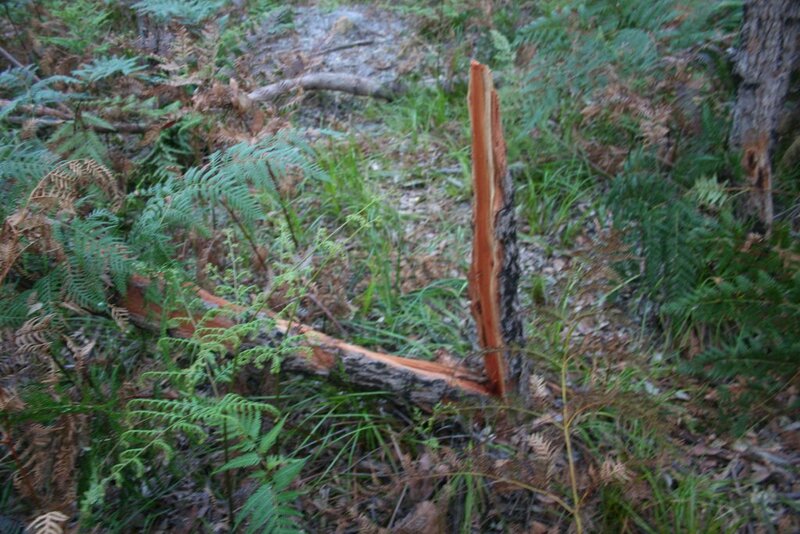 This update will bring you up to speed with the latest status of the conservation issues in Spring Gully. Read more. Scouts Sell to Private Developer! It’s Official. Scouts have rejected the community offer to purchase for donation to the Foundation for National Parks and Wildlife for conservation and addition to the Royal National Park. 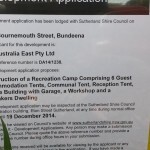 Scouts have announced a sale to a developer who plans to build “eco-tourism” accommodation. 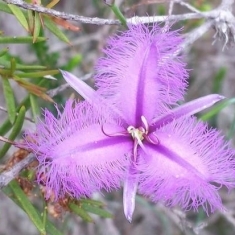 The Spring Gully Protection Group is working to protect 5.6 hectares (14 acres) of pristine bushland in Spring Gully, Bundeena, on the southern outskirts of Sydney. The property, formerly known as the “Boy Scouts’ Camp” borders the Royal National Park – the oldest dedicated National Park in the world. The land was gifted to the Boy Scouts Association of NSW in the 1960s. The land was recently sold by Scouts to a private developer. 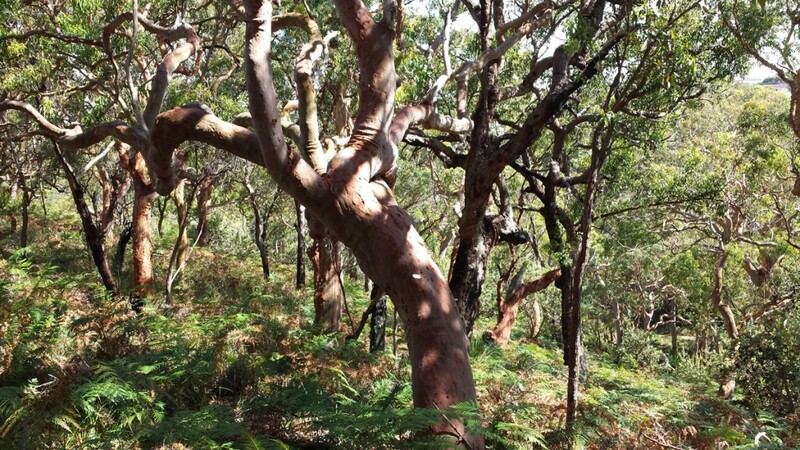 The land contains an unbroken canopy of Angophora forest, Sydney sandstone gully forest, freshwater wetland, an ancient stand of bloodwood mallie and is an important habitat for many protected species and migratory birds. 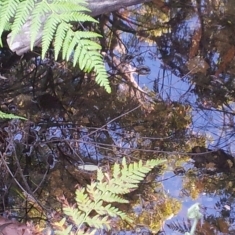 Spring Gully contains many sites of significant aboriginal heritage. 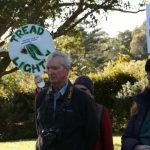 Any development of this land will not only result in loss of habitat but will degrade the environmental surrounds of the Bundeena township and the adjoining Royal National Park forever. 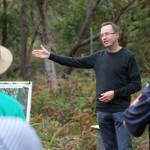 Our aim is for the land to be added to the adjoining Royal National Park. All the other bushland in Spring Gully is either already in the Royal National Park or currently being transferred to National Parks. The former Scout land is the missing jewel in the crown and is now under threat of development. 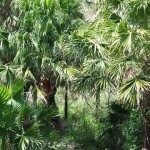 Find out more about the land to learn why it is so important that it be conserved. Read our detailed proposal for purchase which outlines the case for conservation. 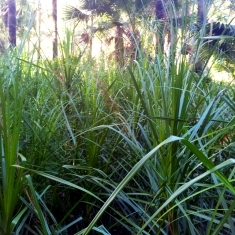 Enjoy some photos of the stunningly beautiful bushland and freshwater wetland which cover the property.